If, like Marion Cotillard's character in Midnight in Paris, you've ever longed to travel back in time to the Belle Époque, I've discovered a magic portal located at 3 rue Royal. 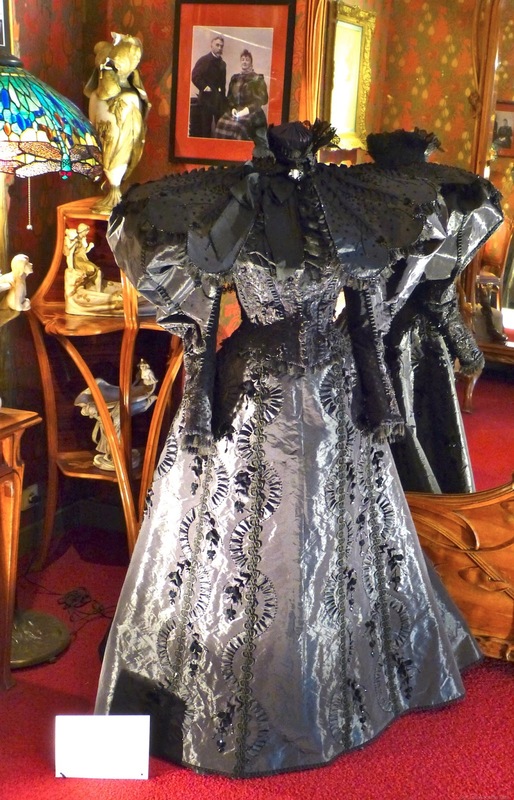 Simply walk through the doors of Maxim's Restaurant, pay for a guided tour and allow yourself to be transported to a 19th century courtesan's boudoir. Along the way, art historian Pierre-André Hélène will regale you with anecdotes about some of the famous people, such as singer Yvonne Printemps, Princess Grace of Monaco, Zsa Zsa Gabor and Jackie Kennedy, who used to frequent the city's most exclusive restaurant at the height of its glory. 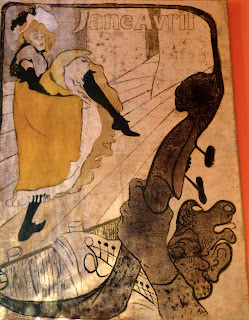 During a recent visit to the Art Nouveau Museum, Mr. Hélène explained that since it wasn't possible for women to have a bank account in France until 1964, courtesans encouraged their male admirers to present them with the most beautiful furniture and decorative items from around Europe. In a seductive setting, Tiffany lamps cast a soft glow on a sofa inspired by Gaudi, china from the Riviera and a serving table with precious woodwork by Majorelle. With more than 550 pieces carefully collected by French designer Pierre Cardin over a period of 60 years, the museum features characteristic masterpieces from the Belle Époque. 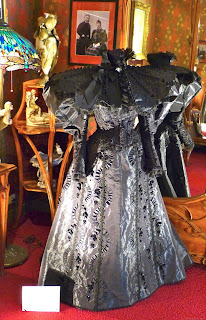 My favorite items included a silver vanity set belonging to Sarah Bernhardt, who has been referred to as the most famous actress the world has ever known, an original poster of Jane Avril by Toulouse-Lautrec and a black dress newly fashioned out of 100 year old silk. Supposedly, even Mr. Cardin was suitably impressed when he studied the details of this exquisite creation. 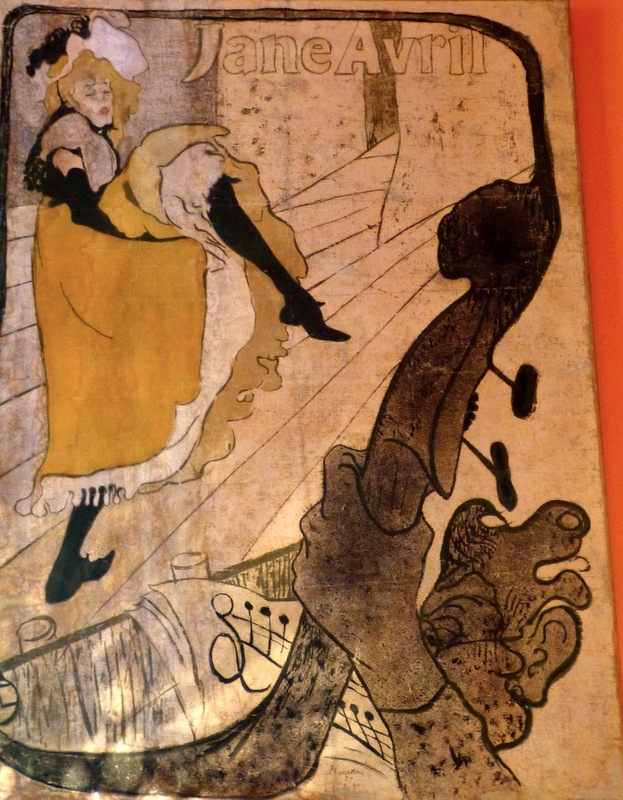 Reading Nana, Emile Zola's novel about a prostitute from the slums of Paris who amasses great wealth and power, prior to your visit will provide additional insights into the decadent world of French courtesans. Open from Wednesday to Sunday. English guided tour at 2:00pm. French guided tours at 3:15pm. What a wonderful idea, thank You! I did not know that Maxim's offer guided tours. Already listed for my next stay in Paris. Greetings S.
So interesting. I love how you are always finding new places to visit. Paris has an infinite amount it seems! MK, I think you were born in the wrong century, you belong in the Belle Epoque. Am I right? I'm sure Stephane would be there too. You're a dreamer and a romantic, you can't help yourself. As for me, I think I belong in the future--still looking. LOL JTB. I was thinking the same about MK. I would have also been right at home during the Belle Epoche. I steer away from the ultra modern. Maxim's was on my Sept "list" but never made it. Looks like I need to make time for it in April. Again the list of "must do's in Paris" gets longer. Thank you Mary Kay. This is so interesting!! I love that movie so much. We've never been to Maxims. Have you eaten there? I'd like to check it out just to see what it's like and check it off the bucket list but have heard the food is so-so.